Hello! Let’s start with a straw poll – hands up all those being sued by their postman, for back/shoulder injuries sustained while delivering your many sacks full of Valentine cards … Nope, me neither. The end of February means we can take a short breather from family (ergo horribly expensive) birthdays – ten between 24/12 and 20/2. TEN! 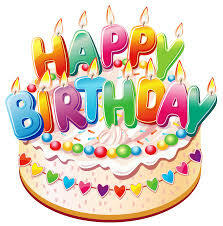 So far this year we have had two first birthdays, two ninetieths and one fortieth amongst the more run of the mill anniversaries, including two daughters-in-law who were both born on 11th January. What are the chances? I don’t know, but it should most definitely not be allowed! During March, there are just two card-only relative birthdays, in April three close family celebrations – all lulling us into a false sense of security before May hits the bank balance right between the eyes once more. Two sons, a grandson and a niece all chose to turn up during the ‘merry’ month (although not so merry for us! ), plus a whole array of other family and friends. Please remember to send food parcels and wine at that time. 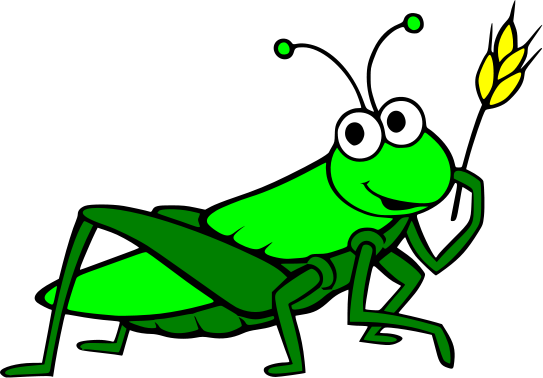 A bit of a grasshopper post this month, going boing, boing, boing all over the place – so listen carefully, I will say this only once. 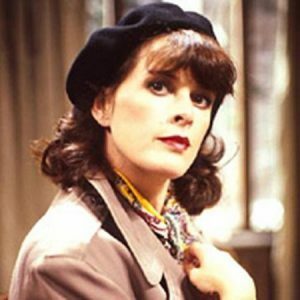 Speaking of which, about a hundred years ago, I used to know Stuart H-C, brother of the actress (Kirsten H-C) who played that part in Allo, Allo – I wonder what he’s doing now … probably not being a grasshopper, or even going boing. He never did strike me as much of a boinger. 28th February has been a musical day over the centuries: in1728 George Frideric Handel‘s opera, Siroe, re di Persia (Siroe, King of Persia – now Iran) premiered in London, followed ninety-one years later by the first performance in Vienna of Franz Schubert‘s song, Schäfers Klageleid (Shepherd Song Suit – perhaps something gets lost in Google translation? Suite I could understand, but suit?) Poor old Franz was only thirty-one when he died (I’ve got jeans older than that! ), by which time he had composed more than six hundred pieces; that’s an awful lot of bum notes and treble clefs. Also in Vienna, in 1828, Franz Grillparzer’s Ein Treuer Diener (A Faithful Servant) was first performed, but in1862 Charles Gounod bucked the trend and chose gay (can you still say that?) Paris to unleash his Grand Opera La Reine de Saba (The Queen of Sheba) upon the world. 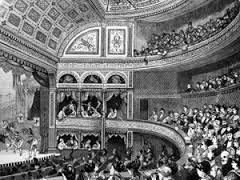 Slipping ever so slightly downmarket, the first American vaudeville theatre opened in Boston, Massachusetts in 1883. Sticking to a musical theme for a moment, now your toes are tapping and you are discreetly la-la-ing, an awful lot of composers have been born on 28th February – step forward and take a bow Kaspar Förster (1616); Justin Morgan (1747); Juliusz Zarebski (1854); Gustave Adolph Kerker (1857); Viliam Figus (1875); John Alden Carpenter (1876); Sergei Bortkiewicz (1877); Artur Kapp (1878); Richard Heinrich Stein (1882); Roman Maciejewski (1910); Vladimir Sommer (1921); and sharing a date of birth, we have Seymour Shifrin and Stanley Glasser in 1926. Charles Bernstein rocked up in 1943, Stephen Chatman in 1950, with William Finn spoiling his poor mother’s day two years later, and Junya Nakano bringing up the rear in 1971. A cast of thousands – and a few strong candidates for this month’s weirdo name competition. 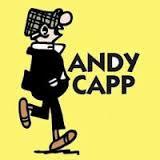 I wonder if Artur Kapp has any remote connection to Andy Capp? I’m thinking anglicised name … no, perhaps not. Forget I spoke. On the world stage, this day in 1933 Adolf Hitler banned the German Communist Party (KPD), and not to be outdone, German President Paul von Hindenburg abolished free expression of opinion (except his own, I expect) – the slippery slope to dictatorship and WWII. 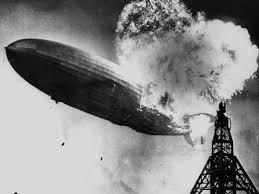 But two years before war was declared, came the Hindenburg Disaster – the airship LZ (Led Zeppelin; not the rock band) 129, which was presumably named after the president who had died in 1934 while still in office, came a right royal cropper. I don’t know about you, but the thought of trusting my luck to an inflated pillow case with an engine attached doesn’t appeal too much. The Hindenburg left Frankfurt on the evening of May 3, 1937, on the first of ten round trips between Europe and the US scheduled for its second year of commercial service – American Airlines had contracted the operators to shuttle passengers from Naval Air Station Lakehurst to Newark for connections with conventional air flights. Except for strong headwinds massively slowing progress, the Atlantic crossing was unremarkable, until the Hindenburg attempted an early-evening landing at Lakehurst on May 6. Although carrying only half its full capacity of passengers (thirty-six of seventy) and sixty-one crew of which twenty-one were trainees on the outward flight, the return flight was fully booked. Many of the passengers with tickets to Germany were planning to attend the coronation of King George VI and Queen Elizabeth in London the following week – choosing to travel in comfort and style, much like an ocean liner only quicker. As the pilot tried to dock, the Hindenburg caught fire and quickly became engulfed in flames. It had a cotton skin covered with a finish known as ‘dope’ – no, not the recreational drug or idiot person, but a plasticised lacquer that provides stiffness, protection, and a lightweight, airtight seal to woven fabrics. In its liquid forms, dope is highly flammable, but the flammability of dry dope depends upon its base constituents. One hypothesis for the cause of the accident was that when the mooring line touched the ground, a resulting spark could have ignited the dope in the skin – goodnight Vienna (which is getting a pretty good airing in this blog). Other theories favoured sabotage, even naming the crew member they held responsible, but since he’d died in the fire, the poor chap couldn’t defend himself. 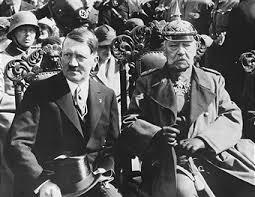 Best of all, it was suggested that Adolf Hitler ordered the Hindenburg to be destroyed in retaliation for Hugo Eckener’s (former head of the Zeppelin company) anti-Nazi opinions. Whatever the cause, thirteen passengers and twenty-two air crew died, plus one ground crewman – but if you see the speed with which the craft burned, it’s nothing short of a miracle that anyone walked away. Let’s cheer up! 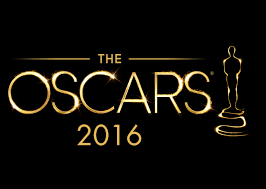 On this day in 2016, the 88th Academy Awards ceremony (aka the Oscars) was held at the Dolby Theatre in Hollywood, Los Angeles – not being much of a cinema goer, I haven’t seen any of the films nominated. My only real interest, to be honest, is to gawp at the posh frocks; not too much Primani on show as a rule, but then if you know 34.42 million people in the US alone are going to be tuned in, casting a very critical eye over your choice of clobber, you’d make a bit of an effort, I guess. Even so, some make amazing fashion faux pas in their effort to be noticed. 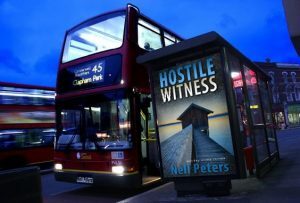 In the unlikely event that I ever get an invitation, I think I’ll play it safe with my usual Tesco super-skinny jeans and some grotty top – to make my entrance incognito as one of the cleaners, so I don’t have to have my photo taken. 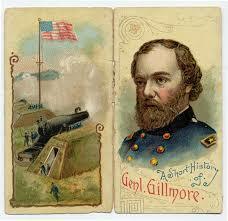 Major General Quincy Adams Gillmore was born on this day in 1825 in Black River (now Lorain County), Ohio – that’s unless you believe Wikipedia, which gives his dob as 25th Feb. But who believes Wiki-p? Call me suspicious, but I think he was named after the 6th President of the US, John Quincy Adams, who was voted in by the House of Representatives earlier in February. 1825 was the same year that the idea to store food in tin cans was patented; the first detachable shirt collar was created; the first hotel in Hawaii was opened (I wonder if it was a Travelodge? ); Charles X became King of France and the Stockton to Darlington railway line was opened. The Maj Gen must have been something of a Smarty Pants because he graduated top of his class at the US Military Academy at West Point in 1849, and received a commission in the Corps of Engineers. He helped build forts until 1852, taught at West Point from 1852 to 1856, and was the head of the Engineer Agency in New York City from 1856 to 1861, when the American Civil War began. He was noted for his actions in the Union Army victory at Fort Pulaski, where his modern rifled artillery pounded the fort’s exterior stone walls – an action that essentially rendered stone fortifications obsolete – and he earned an international reputation as an organizer of siege operations, helping to revolutionize the use of naval gunnery. Not much of a pacifist, then. 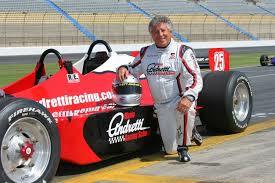 Four racing drivers born on this day are Belgian Eric Bachelart (1961), Brazilian Ingo Hoffmann (1953), and Italian-America terrible twins Mario Andretti and his much lesser-known brother Aldo (1940), who gave up his fledgling career after a serious accident in 1959. Rising from a background of extreme poverty in Europe and moving to the States when very young, the boys really lived the American Dream – as well as every schoolboy’s dream of driving a racing car. Speeding like a lunatic must either have been learned behaviour or in the genes, because both Mario’s son, Michael and grandson Marco, also became racing drivers. Who remembers mention of Stuart H-C at the beginning of this twaddle-fest? OK, you get a prize. His dad, Miles (known as Bill) was a test driver/mechanic on the team of racing driver Tommy Sopwith, whose own father – also Thomas – was the aviation pioneer who built the Sopwith Camel aircraft in 1916/17. (My paternal grandfather probably flew one as a pilot in the Royal Flying Corps during WWI.) Ironically, Miles H-C was tragically killed in a road traffic accident when his children were very young, and they grew up not really remembering him. 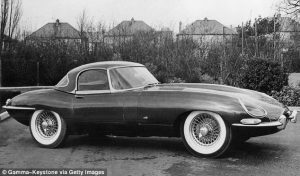 But at least he was driving an E Type Jaguar when he crashed, as Kirsten once said. Unlike the aforementioned Andretti brothers, Benjamin Siegel (nickname Bugsy, ergo a definite contender for the weirdo name contest) – born in Brooklyn on this day in 1906 – wasn’t so keen on doing an honest day’s work to get ahead. A gangster with the Luciano crime family, he was one of the most infamous and feared gangsters of his day and a driving force behind the development of the Las Vegas Strip in Nevada. Nowadays, the tacky area is packed with casinos and hotels – fourteen of the world’s twenty-five largest hotels (by room count) are on the Strip, with a total of over 62,000 rooms. That’s a lot of beds to make. 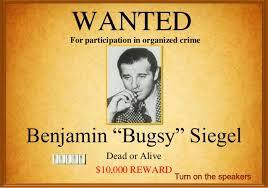 Bugsy’s career met a premature end in June 1947, when he had an argument with a bullet and the bullet won – those who live by the sword … And on that point (snigger) I’m gone – thanks again for having me, Jenny! As usual so interesting, thanks ladies. It is weird, I always find something we have in common when reading your blog posts Nell. Music is an obvious one. Motor racing perhaps not…during the early days of Williams F1 and through most of their driver championship successes we were friends with many of the team and spent a lot of time at Silverstone at Grand Prix in the Drivers enclosures and the pits etc. Photos of our son in Carlos Reuterman’s car etc. Later in America we were friends with Senna’s girlfriend (6 degrees and all that). We come round to the Oscars – I hate awards ceremonies but being in the business we used to go to many. Our son was at last years not sure if he was there this time – if you work in the entertainment business it is expected that you go to these things. You talk of Vegas and the Mafia links – it is well know (I think) that the Mormons owned Vegas and sold/rented it to the Mafia. My artists have played Vegas a few times, and it is an interesting place. Some of our business ‘contacts’ lol…have had ‘interesting’ backgrounds I am sure you know…I do write about it. And I have been to a certain 3 girl singing group – from the 40s – home in Vegas…one was married to a well known Mafia guy – in a musical capacity I add, in case you thought I might be a ‘family’ member. So..how is that for common interests and that is why I really enjoy your posts. They bring all sorts of memories to the surface. Thanks so much Jenny and Nell – awesome. Donn’t know if my comment was kept or got lost. it is not showing.